The next regular meeting of the Condon School District Board of Directors will take place on April 3, 2019. The agenda and previous School Board minutes are available online here. Please note that the April meeting is being held the 1st week in April instead of the 2nd week. Sign-up to receive the latest information on school closures and emergency information through the Frontier Emergency Alert Program. You can receive messages via phone, email, or text message. You select the method that works best for you. Note: This program is administered through Gilliam County Emergency Management, not the Condon School District. If you need assistance signing up or updating your contact information and preferences, please contact Chris Fitzsimmons at the Gilliam County Sheriff's Office: (541) 384-2851. Wondering what's the weather like in town today? 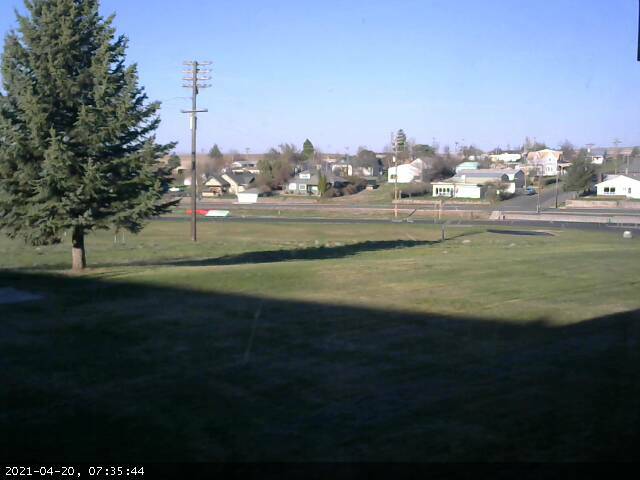 Check out the School Weather Cam (external link) for a view from CHS.